Madeline Fostel Walker Motter was born to George and Barbara Fostel on Staten Island, New York on July 12, 1923. She was the oldest of four children and outlived her siblings, George, Jane and Donald. Madeline passed away peacefully, with her daughter by her side on April 12, 2019. Madeline was a devout Catholic who was involved in many church activities throughout her long life. She married her high school sweetheart, Donald Walker during World War II. Donald Walker was a marine, and he was stationed at Camp LaJeune, North Carolina when the war ended. They welcomed two children, Jeanne and Steven into their lives. Madeline and her family traveled and moved frequently. Madeline was very active in civic life in every community she lived in. She loved volunteering for church, education, the arts and various charities. She had many gifts and talents – she was exceptional at needlepoint and sewing. She worked in multiple occupations. Her two favorite jobs were Assistant to the Headmistress at Seven Hills Day School in Lynchburg, Virginia. She also worked many years as an Administrative Assistant to Dr. Omran, Professor in the Department of Epidemiology at the University of North Carolina in Chapel Hill. A highlight of her professional life was accompanying Dr. Omran to Cairo, Egypt to participate in a World Health Organization Conference in 1980. Many happy years were spent in Southern Pines, North Carolina. Her Husband Donald succumbed to cancer in 2006. They were married for 62 years. Madeline found love again at the age of 89, when she met and married the late Jack Motter. She is survived by her daughter, Jeanne McKee Passmore. She lost her beloved son, Steve to cancer in 2014. She is also survived by her daughter-in-law, Tara Walker and son-in-law, David Passmore; granddaughter, Elizabeth, and great grandson, Alexander. Additionally, Madeline is survived by Steve’s four children; Steven, Patrick, Kelly and Ross Walker, and many nieces and nephews. 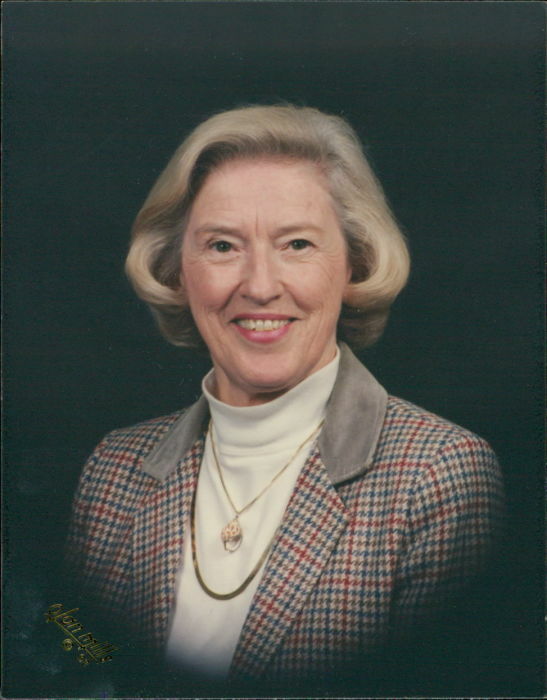 A funeral Mass will be held for Madeline at Saint Anthony of Padua Catholic Church in Southern Pines on April 29, 2019 at 10:00 am. In lieu of flowers, the family requests donations be made in her memory to Community Home Care and Hospice of Whiteville, N.C. There's still time to send flowers to the Funeral Mass at the St Anthony of Padua Catholic Church at 10:00 AM on April 29, 2019.